A special episode of my monthly radio show SWING BROTHER SWING. 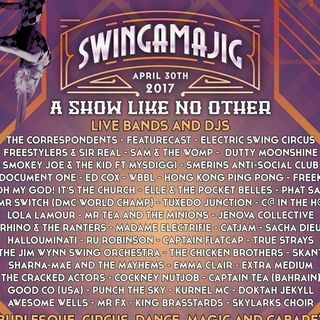 This month I'm focusing on the artists performing at SWINGAMAJIG on April 30th at the Rainbow Venues. Thanks for listening, see you at SWINGAMAJIG!